Stephen Hendry continues to defy those who want to write him off as part of snooker’s history. 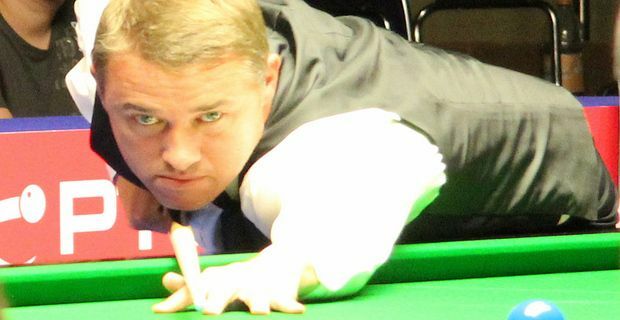 Returning to the world championship he has won seven times, Hendry recorded a 147 maximum break in his first round match. Hendry has previously made maximum breaks on two occasions at the Crucible, in 1995 and 2009, and his third matches Ronnie O’Sullivan’s all-time record. It also helped Hendry establish a commanding 8-1 lead over Stuart Bingham. Hendry didn’t have the ideal preparation for the match, having had to win a World Championship qualifying match the previous weekend, then flying to China for a business meeting. He came to the tournament with no time to prepare. "I felt really good out there," he said, "and the jet lag – well, sleep is for wimps. It's the new way, fly into Sheffield the day before with no practice!" Hendry piled up the points meticulously and accurately, with few scares. "The 147 was probably one of my best, position-wise," he said, "and it was absolutely fantastic to make a third maximum at the World Championship. That ties me with Ronnie and there is no better feeling than to make one here." It was a reminder that, however bad a run of form Hendry is experiencing, he often manages to save his best for the Crucible, even if it has been 13 years since he last claimed the title. If both players progress, Hendry could face a second round match against fellow Scot John Higgins, the current world champion.